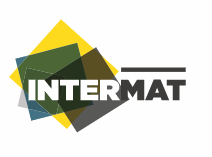 Just 7 Days left before the 2018 Edition of Intermat, the international exhibition for equipment and techniques for construction and materials industries. Please do not hesitate to visit our Stand. We will be exhibiting our new MST-200VDR, the first 360° full rotating compact Dumper (2T Payload), as well as the MST-1500VDR, the new little sister of the MST-2200VDR. Do not miss also to see the MFD-20 the only and unique forklift on rubber tracks.